Are you one of those people who experience seemingly random disconnections while browsing the Internet, streaming music, movies or playing games online? Know that it may be because of poor signal strength from your router. 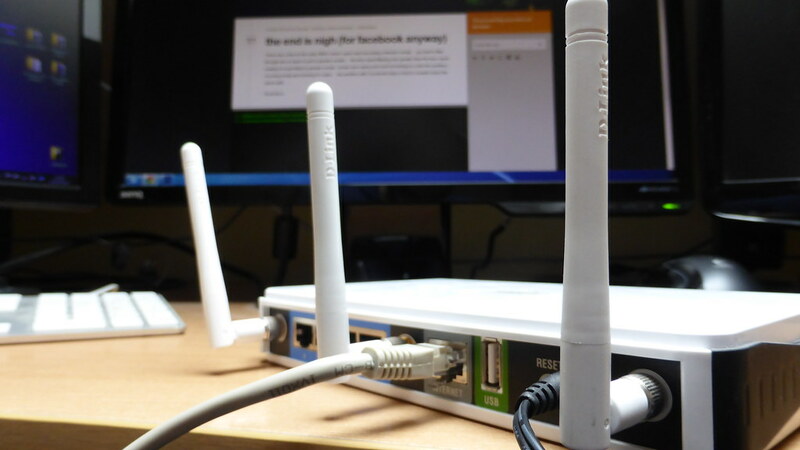 This article will discuss some easy ways to increase the range of your wifi router. It’s a fact that you wifi signal can’t pass through metals. Metal filing cabinets and pipes are possible barriers that can limit your wifi connection. The more barriers you have in between your computer and the router, the higher chances you have of interference. So, if you want to enjoy a strong signal throughout your home, try placing your router somewhere higher. Doing this helps to reduce interference and provide a clearer path for signals to reach out to devices. When you first sign up for wifi service, your internet service provider gives you a default router with omnidirectional antennas, which isn’t of high quality. Most of the routers come removable antennas that you can replace with directional antennas aka high-gain antennas. When you replace the default router antennas to the high-gain antennas, it will transmit signals in one particular direction, providing you with a better signal range and strength in that direction. You can boost the router range up to 25% to 40% if you place your access points according to the direction of the high-gain antennas. There are some routers that give you the option of increasing the transmit power. If you have such router, then set it to the maximum in order to get the highest possible range. The router’s firmware is like the brain of the device. Basically, it is the core software that enables the rest of the device to operate. Similar to other modern technologies, router manufacturers are continually striving to update their products and pushing out new tweaks in order to increase the performance/speed of the router and to fix security flaws. The majority of the latest routers will allow you to update the firmware from within the admin portal. If you don’t exactly know what to do, you can consult the user manual or contact your internet service provider for assistance. When it comes to wireless routers, they broadcast on several different channels or frequencies. All the channels lie in the range of 2.5 GHz, but, depending on your surroundings, there are some factors that actually decide how the channel performs. Ask your service provider and select a channel or frequency that gives you the optimal, maximum range. Have you heard about repeaters before? It’s an electronic hardware used to take signals from your router, boost its strength and then re-transmits it. For instance, if you have a router with a range of 100 feet, place the repeater (100ft) at 75 feet to make the total range 175 feet. Nowadays, wireless repeaters become so affordable and inexpensive, you can even use it for the home. It’s a fact that the electronic components wear out with the passage of time and so is the case with your router. If your router is old, then it’s worn down components lose performance, which leads to slow processing of data and less power to transmit signals. So, replace your old router with the new one and you’ll definitely see the difference based on the higher quality of coverage you receive. Remember you may have to try out a couple of these tips to find out which one best helps you increase the range of your router.